If the combined might of Batman and Gandalf wasn't enough to intrigue you, how about throwing in a Timelord (with a Scottish accent)? More details of the Skylanders-baiting Lego Dimensions game have been gleaned from a building instruction sheet for its Back To The Future set, with a catalog of level packs (read: figures and accessories) we're going to see alongside the game itself. 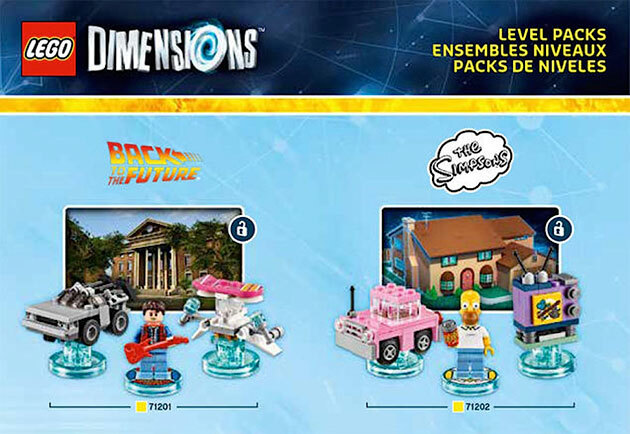 As well as Doctor Who, expect to see a Portal 2 pack, as well as Jurassic World, The Simpsons and Scooby-Doo. You can also expect multiple figures from Lego's own brick-based franchises like Ninjago as well more characters from Lord of the Rings -- these will be part of "fun packs", likely to cost less than the aforementioned full-blown level add-ons. And if it sounds like a lot, remember: we haven't even seen the DC comics sets yet.